Rio Viento is located on Sherman Island adjacent to the Sacramento River, where the Delta meets the Bay. Set in a rural environment, surrounded by open space, Rio Viento has spectacular panoramic views of Mt. Diablo and the Montezuma Hills by day, and the stars and city lights at night. 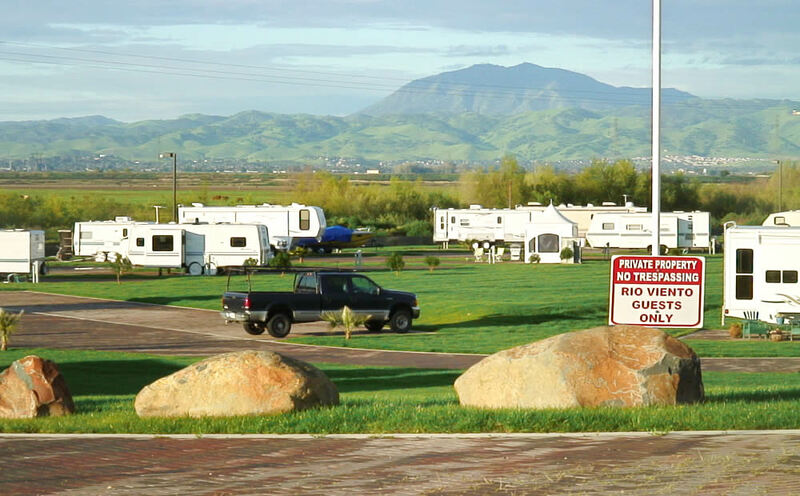 You can enjoy all of the recreational activities the Delta has to offer, or all of the cultural activities the Bay has to offer, when you stay at Rio Viento. Every site is 35 feet wide by 50 feet deep, with huge 22 foot wide by 45 foot deep parking pads, set at a 60 degree angle to the road. Full hookups at every site with 50 amp power. All the roads and parking pads are constructed with concrete pavers, each one hand placed. Windsurf at one of the best windsurfing sites in the world, right from Rio Viento. Easy access to the water for windsurfing, boating and kayaking. Party tents are available for group gatherings. Launch your boat or PWC at the newly renovated boat launch at the Sacramento County Park just down the road from Rio Viento. 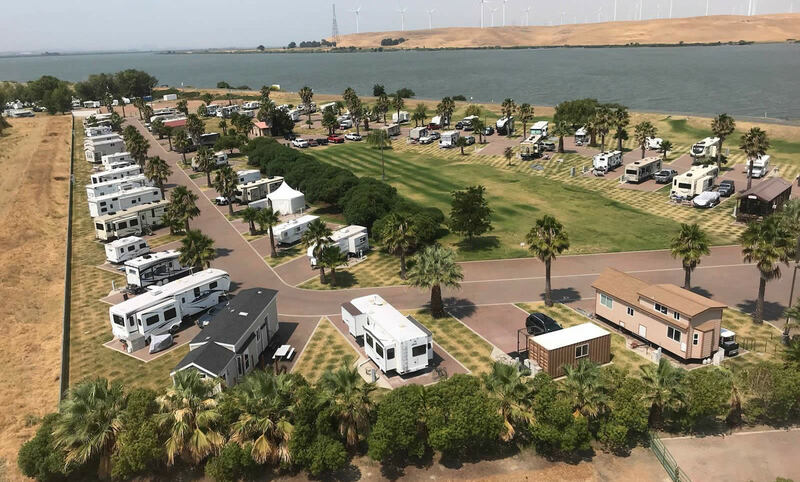 Enjoy all of the recreational activities the Delta has to offer, such as boating, jet skiing, wake boarding, windsurfing, and fishing right from Rio Viento. Or, you can take a short drive or BART to anywhere in the Bay Area and enjoy all of the cultural activities the San Francisco Bay Area has to offer. Want to know more about Rio Viento?